Are you building a custom propane or natural gas fire pit in your back yard? They’re easy to use, safe and very relaxing. 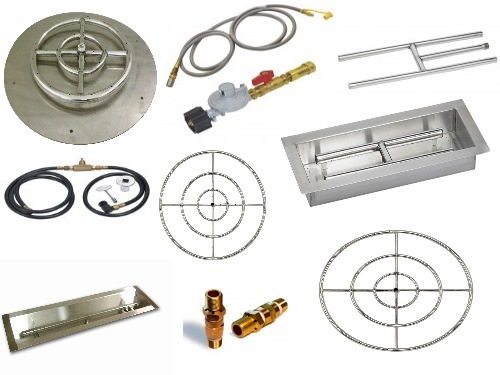 We carry stainless steel fire pit rings, H burners and drop in burners for your project. We have fittings, air-mixer valves and hoses too. Choose from a large display of fire glass (Black, Blue and Copper Reflective always in stock) or we can help you with the right size log set. Come see us today for your fire pit needs. Please note: we don’t carry bowls or stone to make fire pits.